I've been obsessed about making bags and pouches these days. My latest is from Keyka Lou. I love this pattern. It is super easy and they are so cute - as in tiny. This "Dumpling" measures 5.5" x 3.5". I made it for a special Flickr friend. I hope she likes it. I'm also participating in Lynne's small blog meet. I think, all in all, it was a pretty productive month. 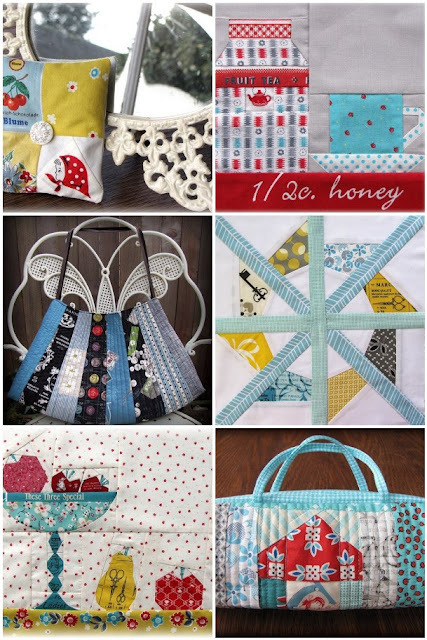 See....lots of bags and pouches with a few bee blocks thrown in. 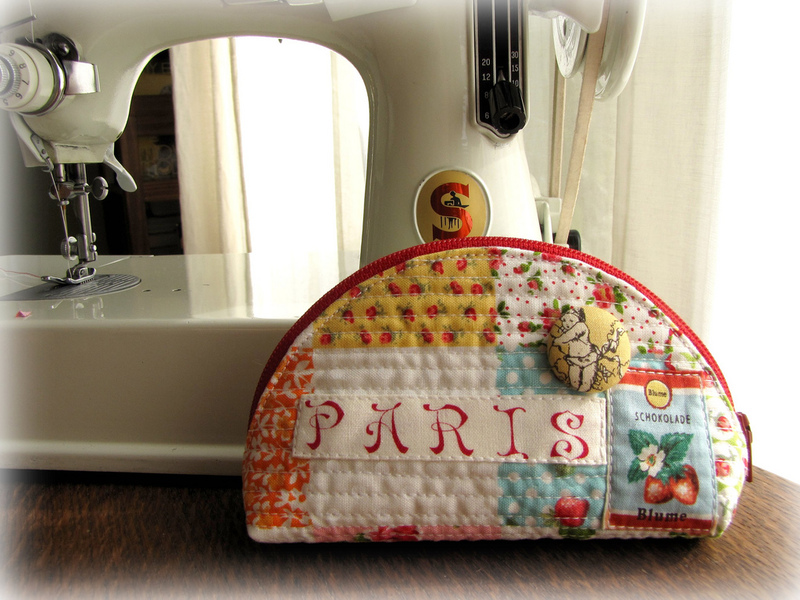 Love your mosaic of pretty pouches and paper piecing Charise. I have popped over from Lilly's SBM - It's a great way to 'meet' other bloggers :)I have been eyeing off your slideshow from Etsy, so may just have to visit there next! Great makes this month- you have been busy! And I love what you did with the pouch! I love everything you made this month Charise!! Adorable bag and you are a master at foundation paper piecing!! so cute! I'm a bag/pouch addict. I've been waiting to try the little dumpling, maybe tonight. :) yours is super ultra cute! I am visiting through Lilys small blog meet. Your blog is so nice and I especially like the photo collage. this is something I will have to learn. Very impressive! I love the bags and your little pouch.